There was no winner in last nights Lotto draw where the numbers drawn were 4,11,12 and 25. There were 4 match 3 winners who share €200 each. The next draw will be for €5200 and will be held in Scully's Bar, The Maudlins on Monday January 18th. Dunbrody Gaels will face Glynn/Barntown n the 1/4 final of the O'Loughlin Cup in Mersheen on Sunday February 7th at 2pm. This concussion leaflet should be used by all managers and parents involved with teams as a guide to dealing with any potential concussion injuries. There was no winner in last nights Lotto draw where the numbers drawn were 9,17,19 and 25. The next draw will be for €5600 and will be held in Paulines Bar on Monday February 15th. There was no winner in last nights Lotto draw where the numbers drawn were 13,22,30 and 32. There were 1 match 3 winner who wins €200. The next draw will be for €6400 and will be held in Alan Morrisseys, Cassagh on Monday April 11th. 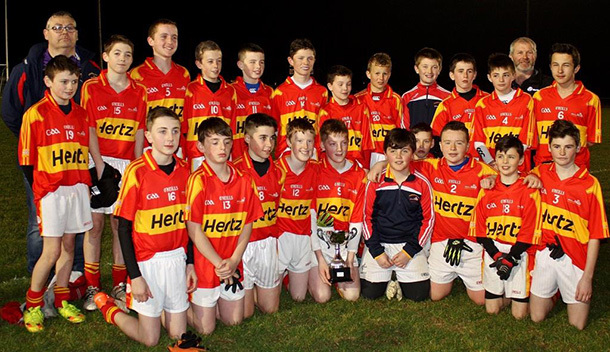 Well done to the under 14 footballers who won the division 2 Feile Peil na nÓg after beating HWH Bunclody in the final on Wednesday night by 2-8 to 2-3. 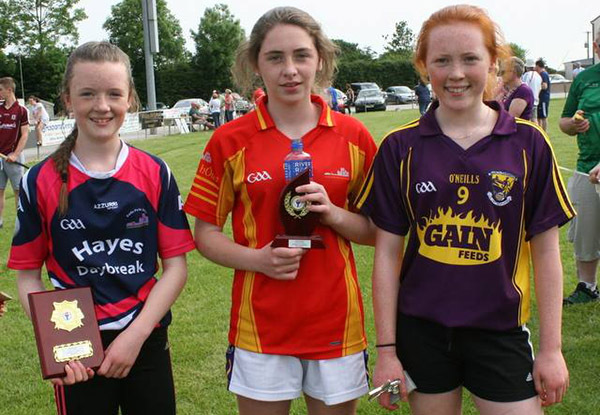 They now represent Wexford in the national Feile Peil na nÓg in Kerry at the end of June. There was no winner in last nights Lotto draw where the numbers drawn were 3,16,20 and 30. There were 8 match 3 winners who share €200 each. The next draw will be for €6200 and will be held in The Oak Tree, Foulksmills on Monday March 28th. 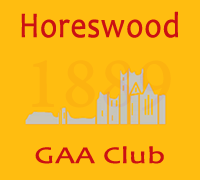 The senior footballers drew their first league game of 2016 against Gusserane which finished Horeswood 1-6 to Gusseranes 0-9. 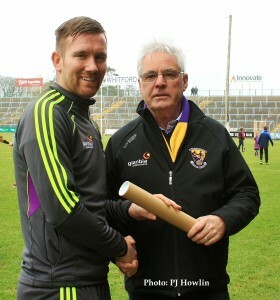 Congratulations to PJ Banville on reaching his 100th Senior Football appearance for Wexford against Ciaran Deelys London in their division 4 tie which Wexford won by 4-20 to 1-6. His first game for Wexford was against Down in the league in St.Patricks Park on March 20th 2005. Unfortunately PJ did not get the chance to add to his career total of 22-102 as he was withdrawn with an injury after 15 minutes. There was no winner in last nights Lotto draw where the numbers drawn were 3,5,11 and 29. There were 9 match 3 winners who share €200 each. The next draw will be for €6000 and will be held in Ballyanne on Monday March 14th. A table quiz will be held by John Kenny and Ger Breen in Dunphys Lounge, Campile on Friday April 29th at 9:30pm in aid of their teams for Horeswoods Fittest Family. A team of 4 adults for €30 and a team of 4 under 18s for €20. There will also be door prizes and a raffle on the night. The junior hurlers begin the 2016 championship with a first round fixture against local rivals Gusserane in O'Kennedy Park, New Ross on Sunday May 1st at 7pm. There was no winner in last nights Lotto draw where the numbers drawn were 18,19,27 and 30. 4 lucky dip winners won €50 each as there were no match 3 winners. The next draw will be for €6800 and will be held in Sooners Bar, Cassagh on Monday May 9th. It was a disappointing weekend for both teams as they lost their opening fixtures. The seniors, in particular, will feel they deserved a draw from the game but now must get something from the refixed round one game against Starlights. Both senior and junior teams are in championship action over the coming weekend with round 2 fixtures. There was no winner in last nights Lotto draw where the numbers drawn were 3,12,16 and 18. The next draw will be for €6600 and will be held in Longs, Ballykelly on Monday April 25th. 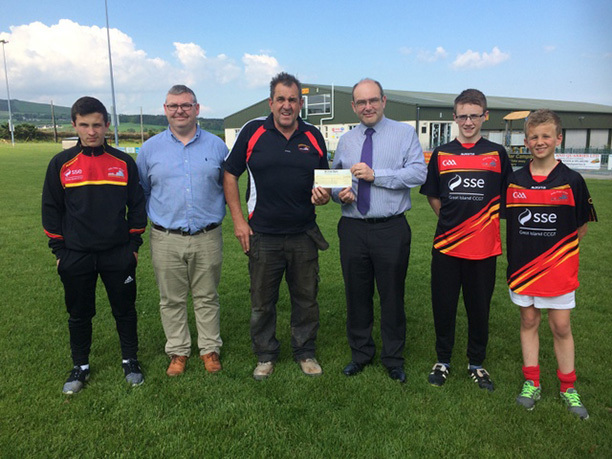 Horeswood Coiste na nÓg Chairman Sean Lyng receiving a cheque for €1000 from SSE Great Island manager Padraig Dunleavy, sponsorship for the Under 14 Football team which travels to Feile in Kerry at the end of June. Also present are, from the left, Kevin Wall, Brian Molloy (Manager), Danny Nolan and Cathal Parker. Mixed results in round 3 of the football with the juniors beating Clongeen 3-10 to 3-6 while an underperforming senior side lost to Glynn/Barntown by 1-15 to 0-9. The juniors are at home to Clongeen on Friday May 27th at 7.30pm. The seniors will face Glynn/Barntown on Saturday May 28th at 6pm in Wexford Park. Dave Knight will be holding a Car Wash fundraiser for Horeswoods Fittest Family in the GAA pitch on Friday May 27th from 1pm to dark! There is no fee and all donations will be greatfully appreciated. There was no winner in last nights Lotto draw where the numbers drawn were 9,16,27 and 30. There were 2 match 3 winners from Clongeen who share €200 each. The next draw will be for €7200 and will be held in The Top Place, Ballywilliam on Monday June 6th. Brendan Howlett will hold a table quiz in Longs, Ballykelly on Friday May 20th at 9.30pm for the upcoming Fittest Family. Entry is €30 per table. A raffle will be held on the day of the Fittest Family for the following prizes. Middleton Park Hotel family break for two adults and two children, two nights B&B, one dinner and admission to FOTA wildlife park. Any family can sell tickets and keep the proceeds for their entry fee. Contact Jimmy O'Leary on 087 923 0503 to get your raffle cards. Lines are €2 each or 3 for €5 and are also available from Jimmy O'Leary and committee members. The junior hurlers got their campaign off to a winning start with a victory over Gusserane on a scoreline of 3-9 to 2-11. They now face Davidstown-Courtnacuddy in round 2 on Saturday May 7th at 6.30pm in Taghmon. There was no winner in last nights Lotto draw where the numbers drawn were 4,14,28 and 29. There were 2 match 3 winners from Clongeen who share €200. The next draw will be held in The Horese and Hound, Ballinaboola on Monday July 4th and the jackpot will be €7600. 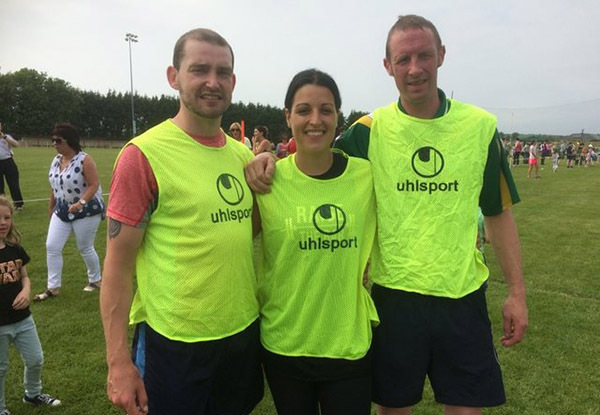 The GAA, in association with Kellogg's, are running camps again this summer in Horeswood. 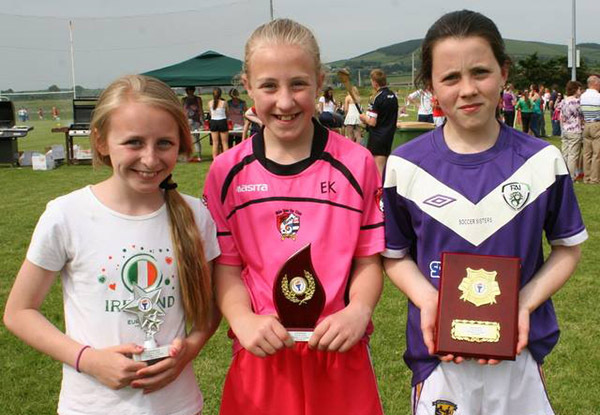 The first camp takes place from July 11th to July 15th and includes football, hurling and camogie. The camps run from 10am to 2.30pm and are open to all children between the ages of 6 and 13. The second camp runs from August 15th to 19th and can be booked here. The footballers are back in league action on Friday June 17th when they are away to Adamstown at 8pm. 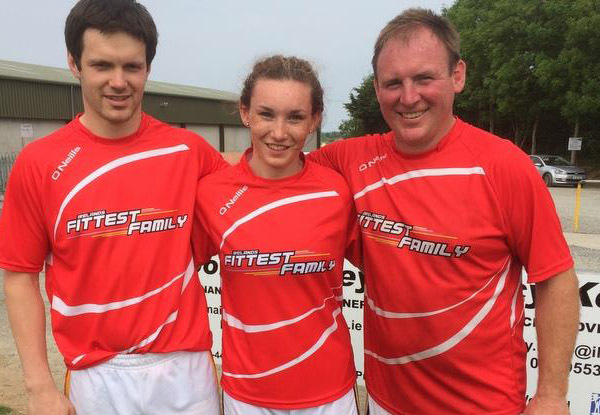 The club would like to thank all the families who took part in Fittest Family and also to Denis Cadogan and his organising committee and all who helped out on the day. 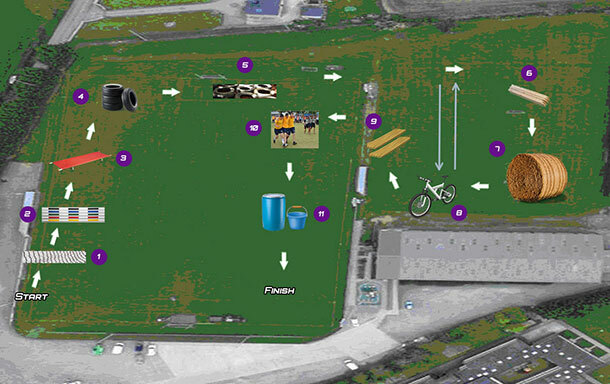 With only a few days to go until Fittest Family, the course has been finalised and is sure to test all competitors. 8 poles- go over first one, under second etc. We would also like to thank our sponsors for providing the prizes. 4th prize: Dinner on Cruising Galley for 4 to be drawn from all participating teams. The under 21 hurlers, as Dunbrody Gaels, will face St.Martins in the first round the under 21 hurling championship tonight, July 26th, in Piercestown at 7.30pm. Bookings are now being taken for Horeswood GAA club's proposed trip to Killarney in September. The hurlers have two fixtures this week, the first of which is away to Taghmon in the final of the Kinsella Cup tonight, Tuesday July 5th, at 7.45pm. They are back in league action on Friday July 8th at 8pm with a round 5 home tie against Bannow-Ballymitty. There was no winner in last nights Lotto draw where the numbers drawn were 17,21,27 and 29. There were 3 match 3 winners who share €200. The next draw will be held in Whites, Foulksmills on Monday July 18th and the jackpot will be €7800. 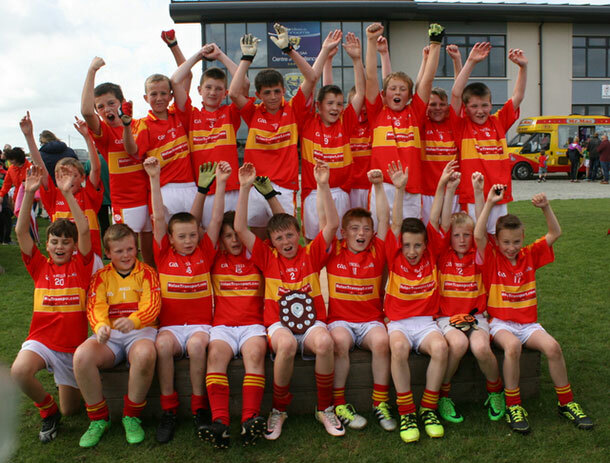 Well done to the boys under 14 footballers who reached the division 6 Shield final of Feile Peil na nÓ last weekend. Playing 6 matches over 3 days they lost a close final to Knocknagoshel Brosna by 1-4 to 0-4. The management would like to thank all 22 players who travelled and were a credit to the club. The minor hurlers, joined with St.James as Dunbrody Gaels, are away to Hollow Rovers on Wednesday August 31st at 6.30pm in Farmleigh at the quarter final stage. The junior hurlers lost their last group game to Bannow/Ballymitty by 2-9 to 4-7 and failed to make it out of the group stages. The junior hurlers last group game will be against Bannow/Ballymitty in O'Kennedy Park, New Ross on Saturday August 27th at 6.30pm. A win will guarantee qualification for the quarter finals. The senior footballers were well beaten, 2-16 to 1-4, by St.Annes in their final group game. The senior footballers will face St.Annes in round 5 of the championship with the reward of a quarter final spot for the winners. The game is fixed for Cushinstown on Friday August 19th at 8.30pm. There was no winner in Mondays Lotto draw where the numbers drawn were 4,11,25 and 30. The next draw will be held on Monday August 29th and the jackpot will be €8400. The junior hurlers will play group leaders Rapparees in round 4 of the championship in O'Kennedy Park, New Ross on Sunday August 14th at 7:15pm. The current group standings are here. The footballers faced local rivals and county champions St.James in round 4 of the group stages in O'Kennedy Park on Saturday August 6th with the game ending in a draw 1-5 to 0-8. In poor conditions it was not surprising that the contest was a low scoring, dogged affair low on quality. After a decent opening, St.James took over until the final quarter when a David Shannon goal put us one point ahead. We were holding on, in part due to some heroic defending, but also to St.James wastefulness until nearly the eigth mintue of added time when St.James pointed from a free. The draw leaves us with our championship destiny in our own hands as we face St.Annes in the last group game with the winner progressing to the quarter final stages. As a result of appearing in Mini 7's final 2 players from Scoil Mhuire have been selected to play in Croke Park at half time in the All Ireland semi-finals. 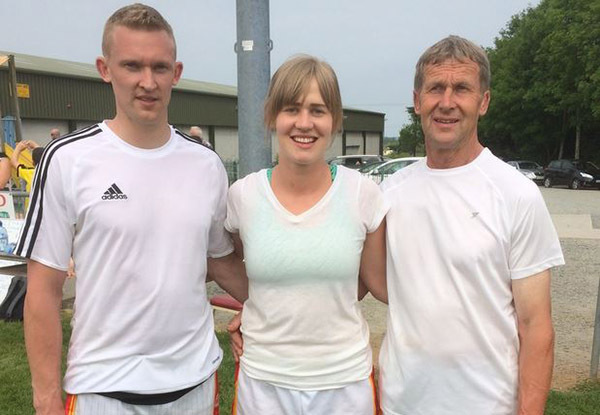 Amy Ennis will be in action at the Kilkenny v Waterford semi-final on Sunday August 7th while Conor Foley will play on All Ireland Football semi-final day on Sunday August 28th. A number of our Coiste players are currently involved in the following county squads. Conor Foley and James Murphy are with the under 13 Football and Hurling Development Squads. Neil Ennis and Joe O'Sullivan are on the Under 14 Hurling Panel for the Tony Forristal tournament. 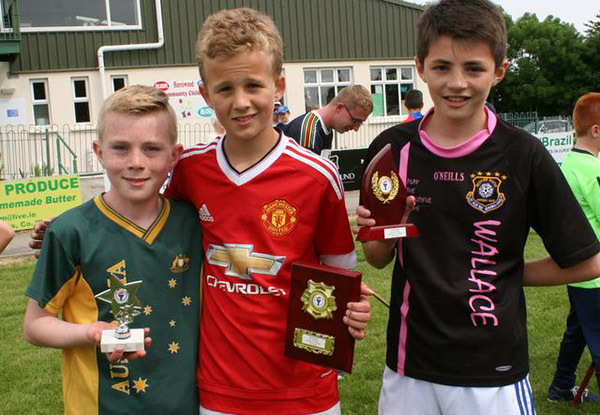 Jason Murphy, Alex Molloy, Joe O'Sullivan, Matthew Foley and Kevin Wall are on the U-14 Football South Squad. 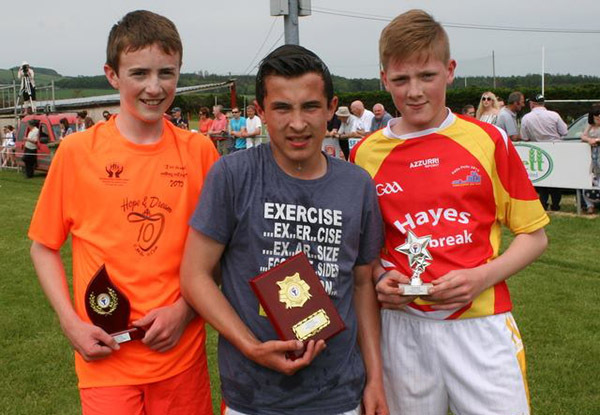 Jack Kehoe is on the U-15 Hurling squad and Sean Nolan is with the U-17 hurlers. This is a great testament to both the players and underage coaching in the club. Both football teams are back in championship action this weekend with the juniors travelling to face Ballyhogue in Bree on Friday August 5th at 7.30pm while the senior face current county champions St.James on Saturday August 6th at 6pm in O'Kennedy Park, New Ross. There was no winner in last nights Lotto draw where the numbers drawn were 5,7,8 and 32. The next draw will be for €9000 and will be held in Longs, Ballykelly on Monday October 11th. The under 14 hurlers, joined with Gusserane as Coillte-O'Rahillys, will face Shelmaliers in the county shield final on Saturday Septemeber 24th at 11am in Oylegate. 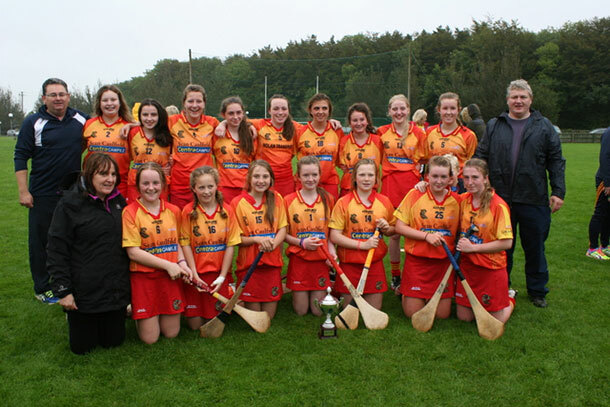 The under 16 camogie team who beat Marshalstown in the county final by 1-11 to 2-6. 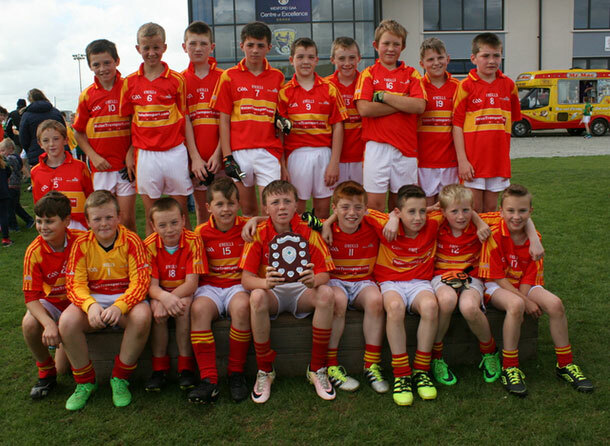 The under 12 footballers recently beat Bunclody by 4-3 to 0-6 to claim the Shield title in the Ferns centre of excellence. There was no winner in last nights Lotto draw where the numbers drawn were 7,9,21 and 23. The next draw will be for €9200 and will be held in Sooners, Cassagh on Monday October 24th. Tickets are €10 for adults and €5 for children. The Coiste na nÓg AGM will take place in the indoor complex on Monday 21st November at 8.30pm. The adult club AGM will be on Friday 25th November at 9pm, also in the indoor complex. All are welcome to both meetings.